Russian physicists from MIPT teamed up with foreign colleagues for a groundbreaking experimental study of a material that possesses both superconducting and ferromagnetic properties. 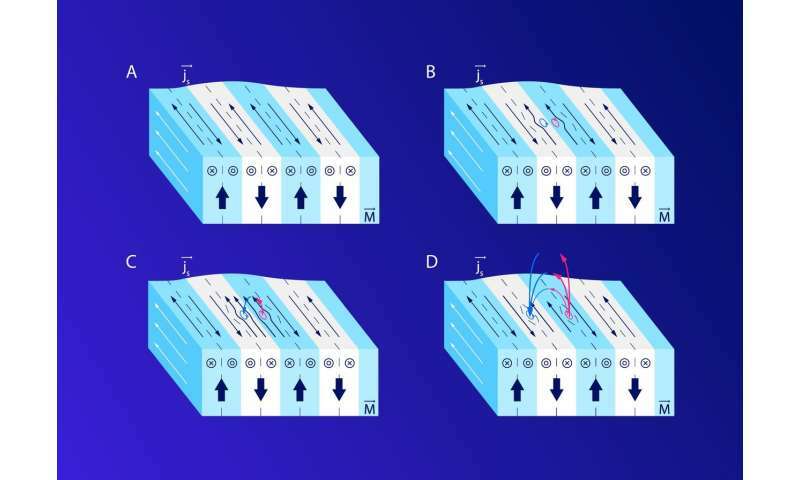 In their paper published in Science Advances, the researchers also propose an analytical solution describing the unique phase transitions in such ferromagnetic superconductors. The international research team studied a monocrystalline compound of europium, iron, and arsenic, doped with phosphorus with the formula EuFe2(As0.79P0.21)2. Once cooled to 24 kelvins, or −249.15 degrees Celsius, this material exhibits zero electrical resistance, becoming a superconductor. If cooled further, below 18 K, it acquires ferromagnetic properties. In particular, it undergoes spontaneous magnetization at zero applied magnetic field, like iron, which is used to make permanent magnets. Remarkably, ferromagnetism does not in this case destroy superconductivity. 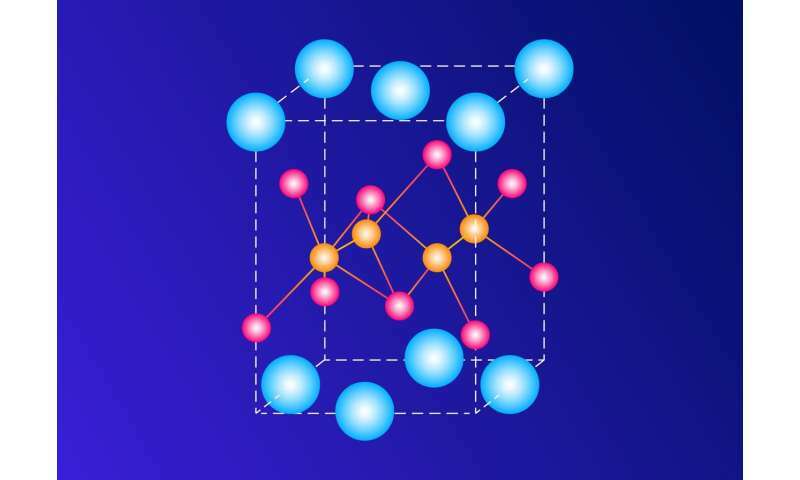 This coexistence of magnetism and superconductivity has long been an object of interest to both theoretical physicists and researchers investigating new materials with a potential for applications in conventional and high-current electronics. From a theoretical standpoint, ferromagnetic superconductors are interesting as materials exhibiting distinct properties in different temperature ranges. Unlike them, conventional superconductors are perfect diamagnetics. That is, magnetic fields do not penetrate inside them, because an external field induces screening currents on the surface of the superconductor. These currents result in a magnetic moment that counteracts the external field. The magnetic and electrical properties of materials are interconnected, so the "peculiar" ferromagnetic superconductors attracted the attention of scientists. By investigating them, it is possible to better understand the nature of superconductivity as a macroscopic quantum phenomenon. Perhaps this line of research could even shed light on the prospects of superconductors that would work near room temperature, which so far seemingly fall into the realm of fantasy. In ferromagnetic materials, the magnetizations of the constituent particles spontaneously align below a certain temperature, called the Curie point. This results in the formation of uniformly magnetized regions called domains, whose interplay determines the overall magnetic field of the material. Above the Curie temperature, the magnetic ordering is lost. Ferromagnets are used in the industry to make various devices that store or process information encoded in magnetized media. Familiar examples of magnetic storage are hard disks, recording tape, and magnetic stripes on credit cards. The coexistence of ferromagnetism and superconductivity could have potential from a practical standpoint. 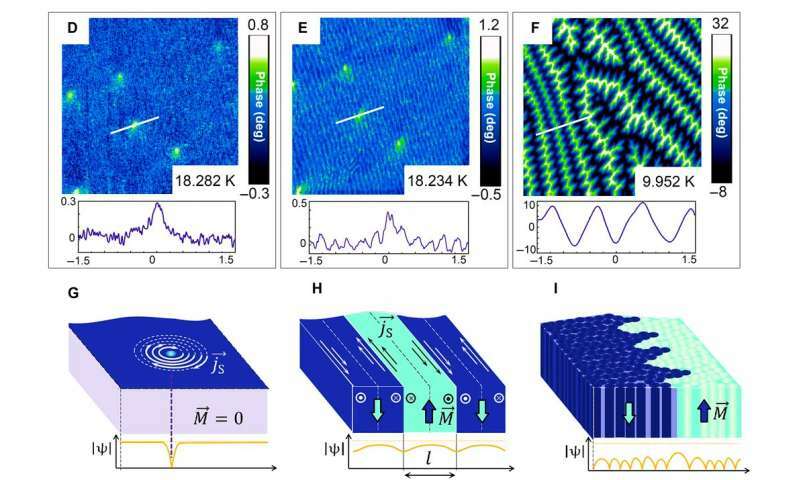 However, to develop technological applications of this combination of material properties, engineers and physicists need to understand the processes occurring in ferromagnetic superconductors in greater detail. To find out what happens on the surface of the crystal investigated in the study, the researchers used a magnetic force microscope. It enabled them to create a high-resolution 3-D map showing the distribution of the magnetic field near the surface of the sample at various temperatures. Once the material was cooled below its Curie point, or about 18 K, the map revealed magnetic domains. At 19-24 K, the map shows Abrikosov vortices, which are a characteristic trait of superconductors. Besides, the team revealed a new phase that exists slightly below the Curie point, between 17.8 and 18.25 K, and manifests itself as Meissner domains. The Meissner-Ochsenfeld effect refers to the expulsion of a magnetic field from a superconductor during its transition into the superconducting state. The material resists being penetrated by the external magnetic field lines. As a result, the external magnetic field induces superconducting Meissner currents in a thin layer of material close to the surface of the sample. The authors of the research reported in this story have experimentally discovered a new phase of the Meissner effect—called Meissner domains—and observed its transformation into "vortex domains." The notion of a Meissner domain refers to the periodic structure resulting from the spontaneous Meissner currents generated due to the screening of the internal magnetic subsystem of europium atoms. The transition is a consequence of the oppositely oriented spontaneous magnetic fluxons in Meissner domains being quantized once a critical magnetic field for the given superconductor has been reached. By varying the temperature in the course of their experiment, the researchers traced the transition of the sample from one phase into another. Vasily Stolyarov, a co-author of the paper, commented on the results of the study: "For the first time ever, we have shown what happens on the surface of the recently discovered ferromagnetic superconductors. This is the first observation of so-called Meissner domains and the transition from Meissner domains to vortex domains, which occurs when vortex-antivortex pairs are spontaneously generated in Meissner domains, counteracting the screening Meissner currents in the neighboring domains. The spontaneous Abrikosov vortex-antivortex pair generation in a homogeneous superconductor has not been observed before, despite this phenomenon being predicted theoretically and indirectly inferred from research into electron transport." "Our findings break new ground in the modern physics of superconductivity," says Stolyarov, who is deputy head of MIPT's Laboratory of Topological Quantum Phenomena in Superconducting Systems. "The results of the study lay the foundation for future fundamental theoretical and experimental research into the processes occurring in superconductors at the atomic scale. We are preparing a series of papers detailing our research into similar materials, and this publication is the first of its kind." The physicist added that the phase transition investigated in the study could be used to control processes occurring in the superconductor. In particular, this phenomenon can help control Abrikosov vortices in the crystal and form single vortex-antivortex pairs, which is useful for developing electronics based on hybrid superconducting materials.